→How Long Can Cooked Salmon Stay In The Fridge Fresh? After eating, the leftover should be placed in the fridge immediately. When left at room temperature, bacteria will start to grow. If possible you can keep it in the fridge within 2 hours. 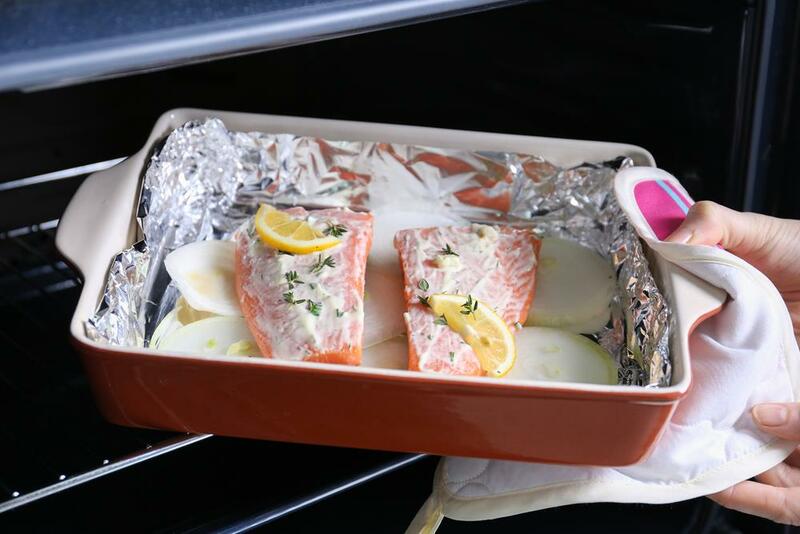 You don’t have to wait for the salmon to cool to room temperature. By doing this, you can prevent the food any contamination. Before the fish is kept in the fridge, you can season it with pepper, salt, or lemon juice. Use food-safe plastic wrap to wrap the leftovers. 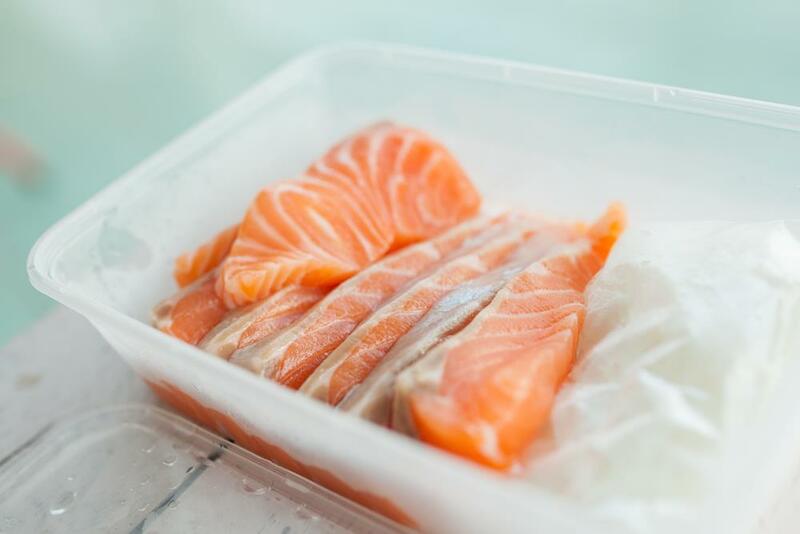 Wrap several layers around the food and put out all air that may be trapped between the plastic and salmon. Ensure that it is well sealed to prevent any air from entering. You can choose clear containers. These will help you to see the food inside. If the clear containers are not available, you can use labels and indicate the name and date. The leftovers can be used as an ingredient in another dish. You can make a quiche, egg rolls, or fried rice. Place the food where you can see it easily so that that they can be eaten when safe. ​Take the food out of the fridge and unwrap it carefully. Throw the plastic away. It should not be reused for another food. Place the fish in a dish that is microwave-safe. Add a tablespoon of water and set the microwave for about 30 seconds. If you have more leftovers, don’t throw them away. You can freeze them. They can stay in the freezer for up to 2 months at 0 degrees F.
Prepare the fish carefully before it is frozen. This will help to keep the taste and texture beautiful. Allow the cooked salmon to cool. Cut it into pieces if it is large. This will help you to thaw them easily. 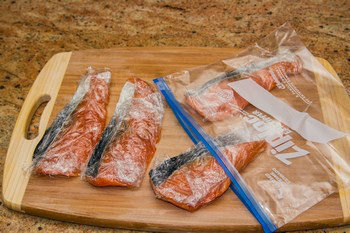 Use parchment paper to wrap the pieces of salmon and place them in the freezer bag. You can also use airtight containers if you don’t have the freezer bags. Label the bags or containers with the name and the current date. Place it in the freezer where it cannot be in touch with other foods. The fish should not be frozen for so long. It will be soggy when thawed. ​You can learn more ways to freeze smoked salmon. Set the oven at 325 degrees F. Wrap the fish in an aluminum foil and wrap the food tightly and place it on the baking sheet. Bake the fish for about 20 minutes. The temperature should be 160 degrees F.
It has omega 3 fatty acids which are beneficial to the body. Ensure that the leftovers are not thrown away. Prepare it well for storage in the fridge. Ensure that it is consumed within 3 days after cooking. The fish can be enjoyed from the fridge no matter how it was cooked. You can smell the fish to know if it is fresh. If it is not s﻿melling good, it should be discarded. You can also look at its color. If it is whitish, slimy, or milky throw it away. The leftovers should be consumed within the first three days after cooking. Have you ever had salmon leftovers? Did you refrigerate it? How long did it stay fresh? Stale food can cause food poisoning. The salmon should be eaten when fresh to avoid food poisoning. It should be consumed within three days when cooked. Fresh salmon can be safe for about 2 days. It can be frozen for about 9 months. If the salmon is smoked, you can keep it in the fridge for about 3 weeks. It can be frozen for about 9 months. Canned fish can stay safe up to 1 year. Use an airtight container, food-safe plastic wraps, or freezer bags when storing the leftovers. The fish should be fresh. 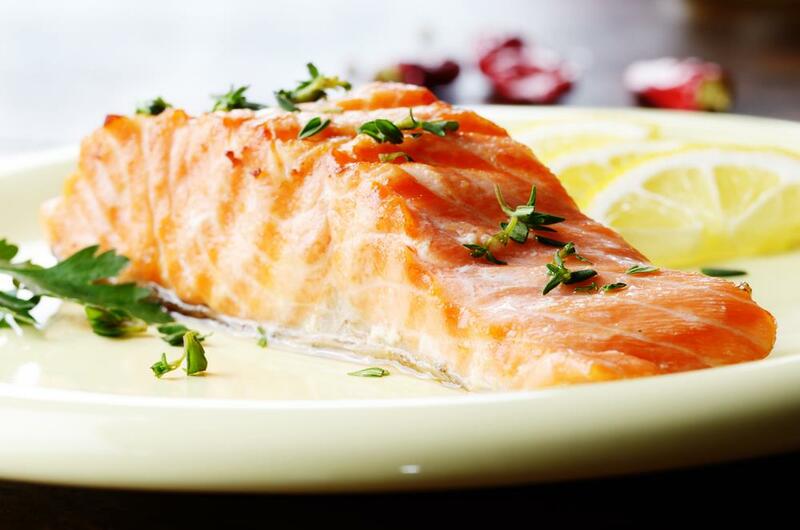 ​If you have a large piece of salmon, cut it into small pieces and wrap them separately. If you have a large piece of salmon, cut it into small pieces and wrap them separately. You can use the leftovers as ingredients for other dishes. The above information will help us to store the salmon leftovers safely. Ensure that the fish was cooked fresh before it is kept. If it was not fresh, it should not stay in the fridge for long. 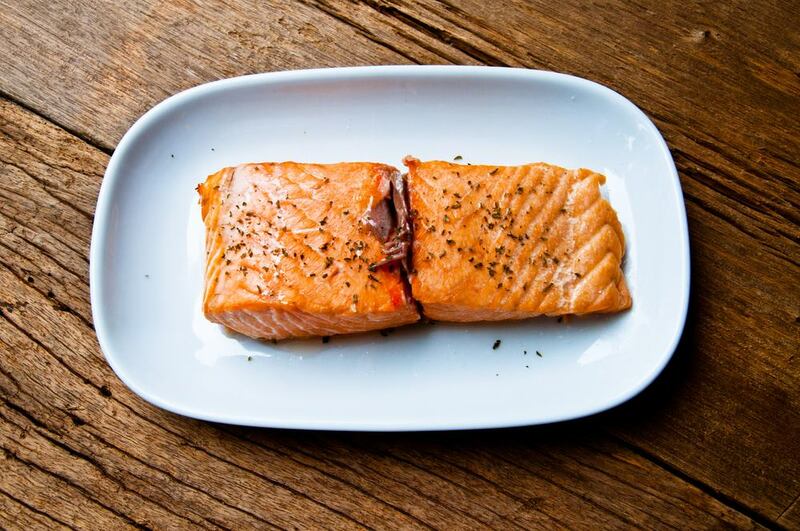 How do you keep your salmon leftovers? Do you have any other method? Please feel free to share in the comments section if you have any idea.